For some strange reason Amazon is cancelling the pre-orders for The Life and Truth of George R. Stewart. But there’s no need to order from Amazon: Since the price is the same when you buy from the publisher, and service is very fast, please order directly from McFarland. Those who’ve already ordered from McFarland have their copies (including folks in England). Best of all, you can call McFarland and talk with a real human being at the ordering desk. After 8 years, 8 months, and 24 days of work, the book has arrived. It is the highest mountain I’ve ever climbed (or we’ve ever climbed, since so many folks have helped along the way). Here’s the photo, taken by our UPS delivery guy at the historic Walking Box Ranch. Thanks to McFarland for doing such a fine job on the book. It is being simultaneously published as an eBook by various e-publishers. It will take up to 8 weeks to get that version into the various e-catalogs. This is an expensive book, so I’d recommend that if you’re interested in reading it you suggest that your local library buy a copy. Thanks again to everyone — and to George R. Stewart. 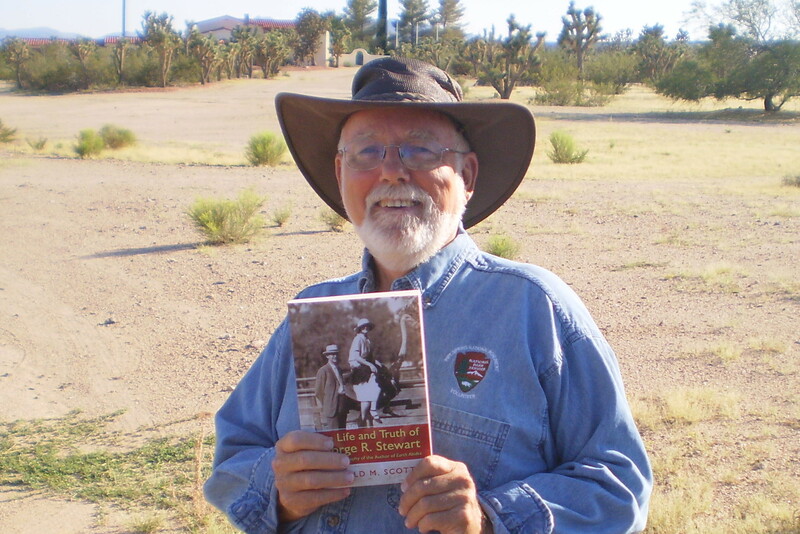 In honor of the publication of The Life and Truth of George R. Stewart: A Literary Biography of the Author of Earth Abides, this web log has been re-named. It is now The EARTH ABIDES Project. 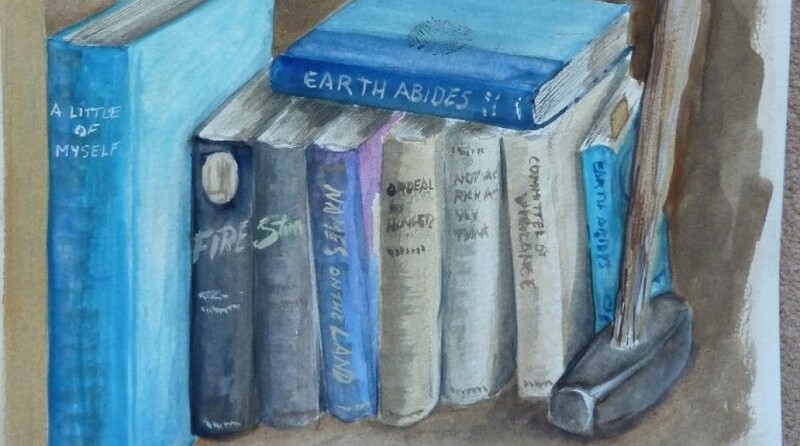 The novel, Earth Abides, has had a profound and lasting effect on human culture, so it deserves this honor. Hopefully, those who read Stewart’s great novel will find themselves on life-long saunters through new worlds of reading and thinking. Those folks who ordered directly from McFarland are receiving their copies of The Life and Truth of George R. Stewart. I have not checked the post office but expect the author’s copies have arrived. So hoist a glass of single malt, or root beer, and toast this day. The Life and Truth of George R. Stewart: A Literary Biography of the Author of Earth Abides is now shipping. If you’ve ordered one, it should be on its way to you. It’s been quite a ride. Now to see if the book sells.